File this under “another cool thing about living in Florida.” I know there are lighthouses everywhere, but less than an hour from my house is the Ponce Inlet Lighthouse, a stone’s throw from Daytona Beach. I had the good fortune to go up into it on the night of the full moon. The moon was shy that night and stayed hidden from view behind the clouds. But the light inside was mesmerizing. I was allowed to go up to the light housing. This photo was taken standing between the glass it projects through and the light itself. It was very warm and I stayed for just one complete revolution, but I snapped away. This was my favorite. 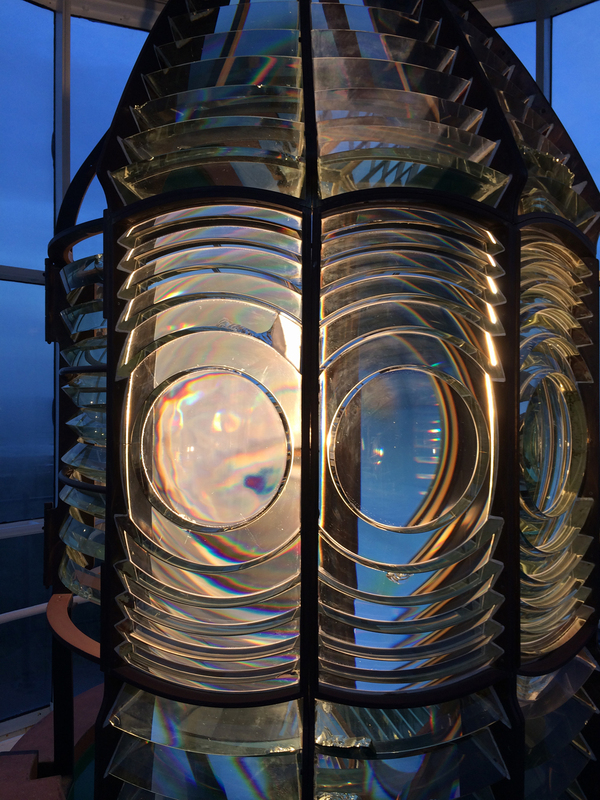 I so adore lighthouses and this Fresnel lens is brilliant and just perfect for this challenge. Thanks for playing.